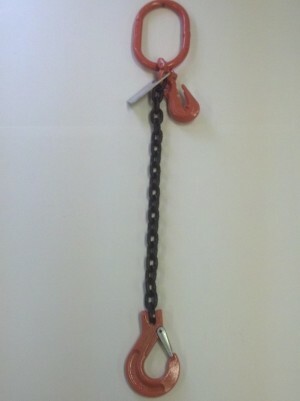 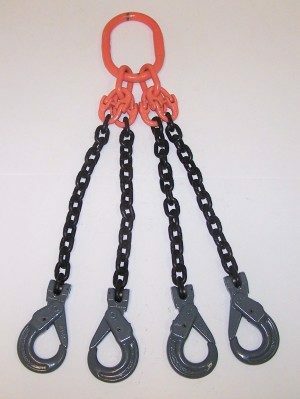 Chain sling with oblong one end and slip hook other end. 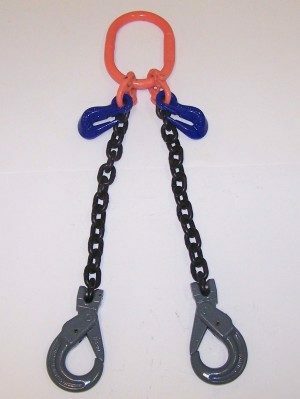 Grab hook attached to oblong ring to adjust length (ASOS) – Grade 100. 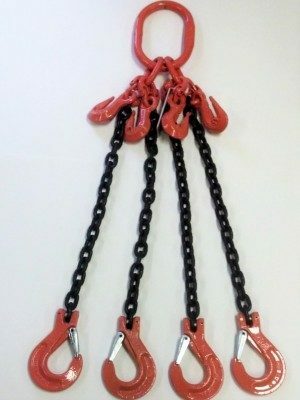 Each sling is tagged with working load limit.